The Parkville Towne Fair returns next month, and this time it will be held at a new location. 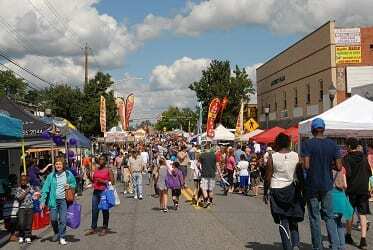 The 2018 Parkville Towne Fair will be held at Parkville High School on Putty Hill Avenue from 10 a.m. to 4 p.m. on Saturday, September 8, 2018. There will be music, shopping, midway games, kids games & activities, and much more. The fair is presented by the Parkville Carney Business Association. Music will be provided by Gene Vincentt and The Cadillac Cruisers. This year the fair will join forces with the Baltimore County Police Department’s Police Community Day, so attendees can expect to see the police helicopter and K-9 units as well. The Hope and Peace Foundation’s Rolling 9/11 Memorial motorcycle ride will also be riding through the “Path of Honor” around the fair on Putty Hill Avenue. The Rolling 9/11 Memorial will be on display at the fair after the ride that morning. For more information, visit the event on Facebook or go to the official website at www.parkvillefair.com.